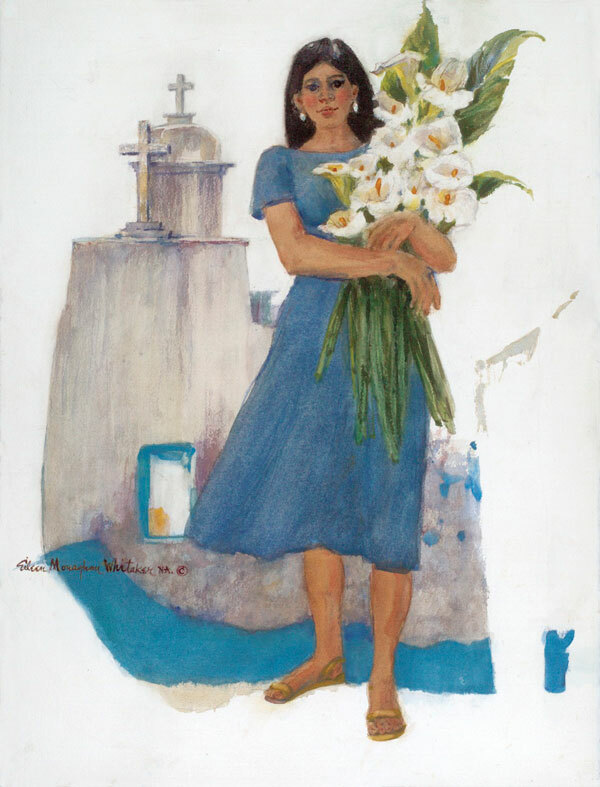 The Whitakers’ love affair with Mexico spanned several decades starting at Fred’s favorite restaurant in Greenwich Village, NY “ El Chico”, where Eileen was introduced to Mexican music. 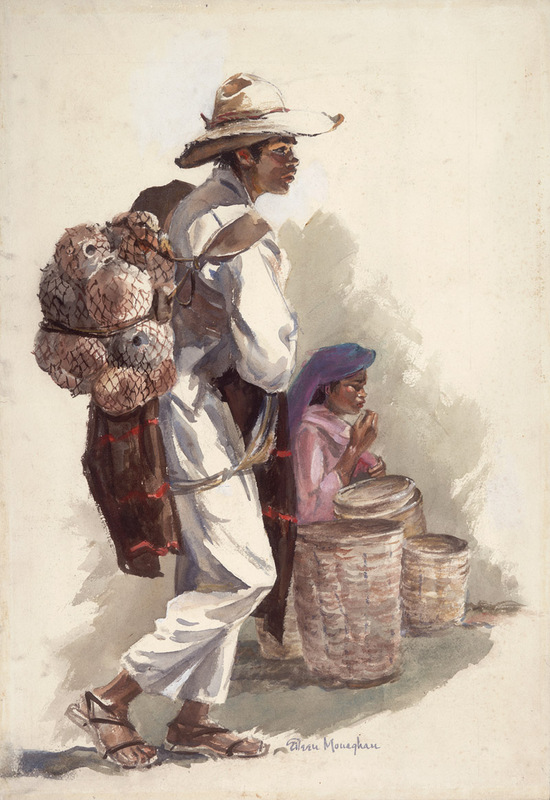 Fred’s business dealings in Mexico City, including the setting up of a rosary making establishment and the procurement of Mexican silver jewelry, had served to whet his appetite for further exploration. 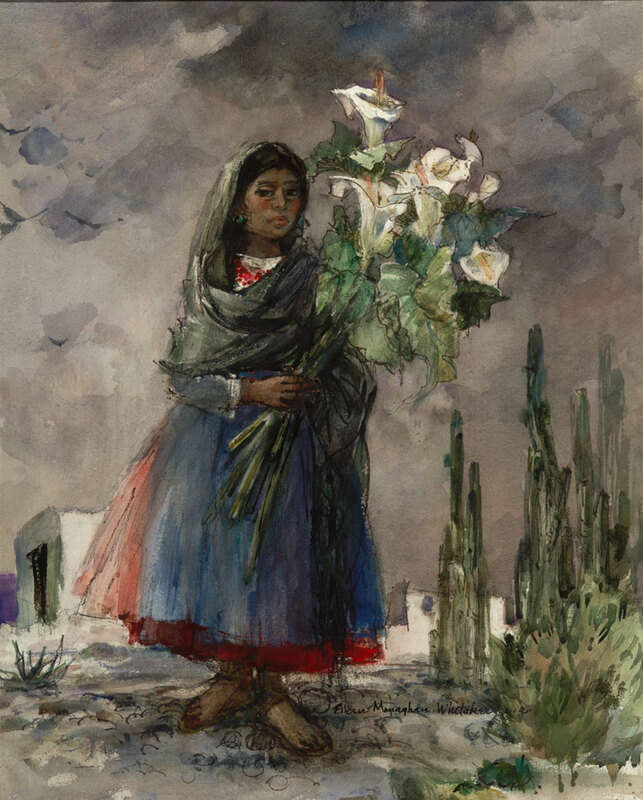 An eager companion, Eileen fell in love with the Mexican people she minute she crossed the border. 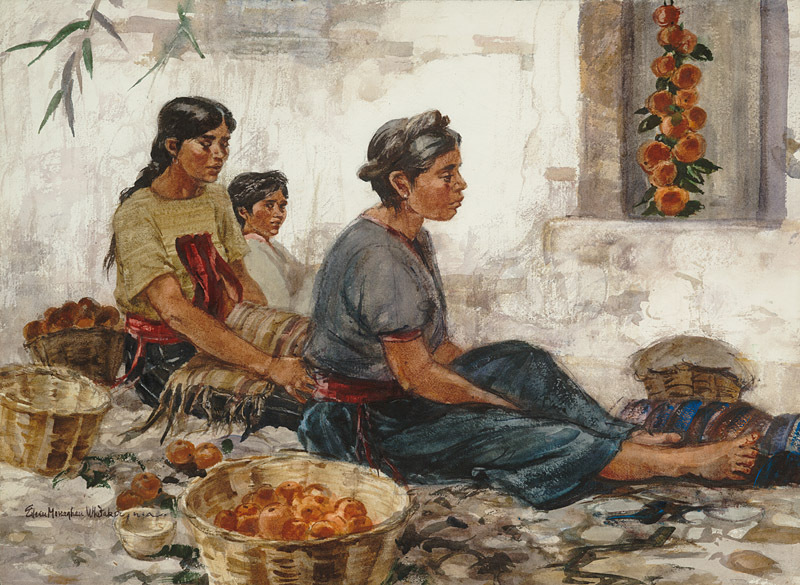 “About every other year after we met , we traveled to Mexico”, says Eileen. 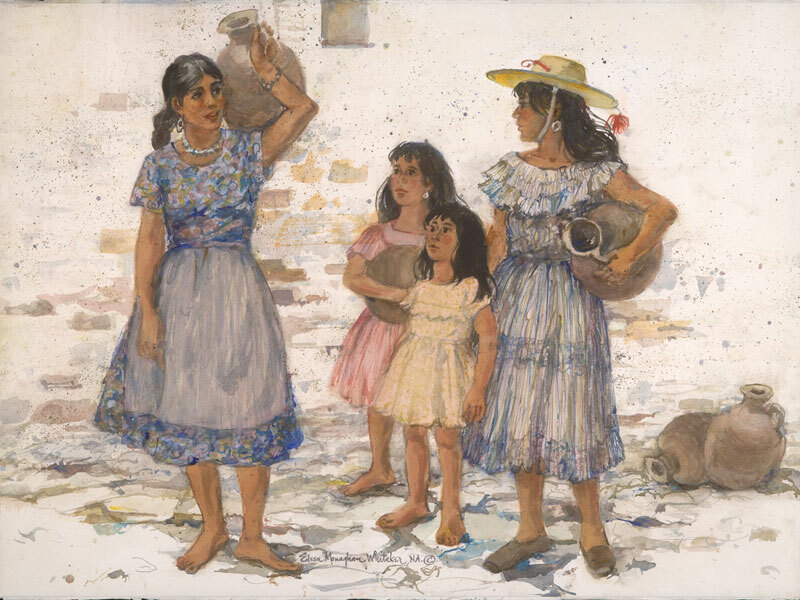 With her affinity for languages , she quickly learned to converse in Spanish… Fred could read and write the language…Together they had no problem chatting with the natives , finding their way around , and getting to know the Mexican people. 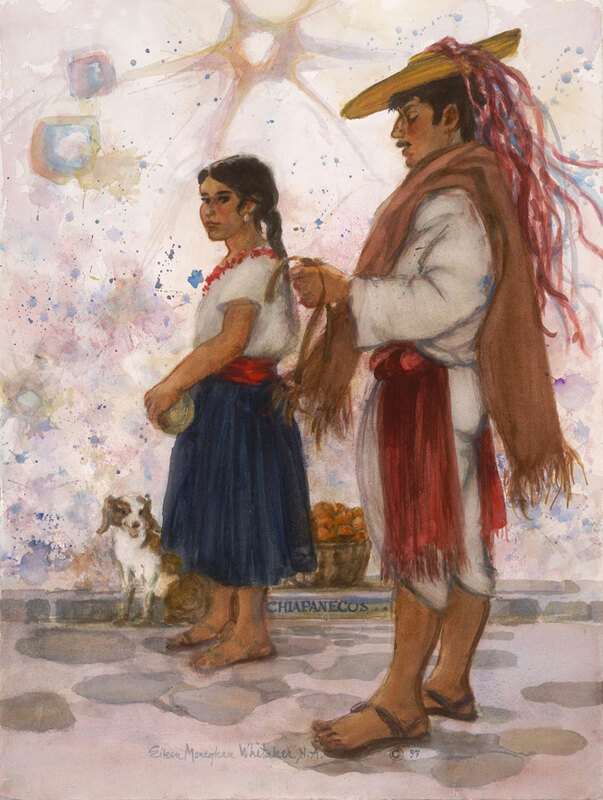 And together, they passed through “virtually every one of Mexico’s states”, said Fred. 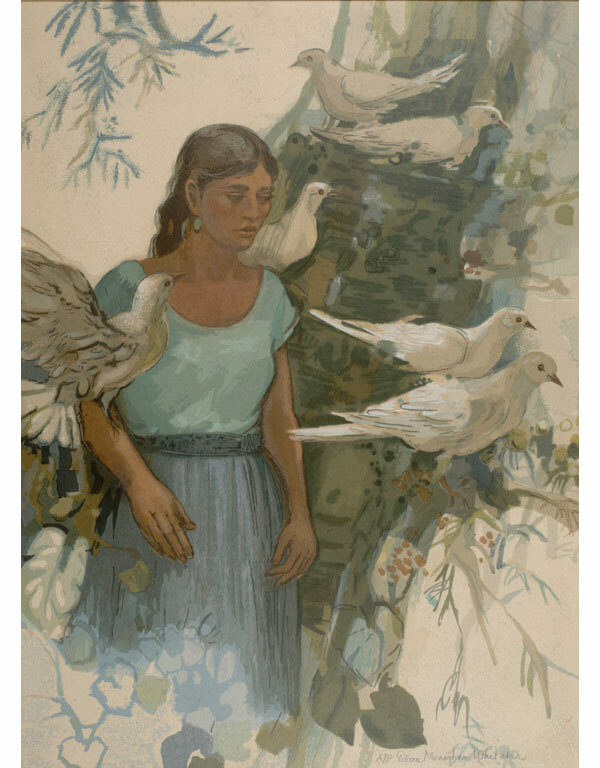 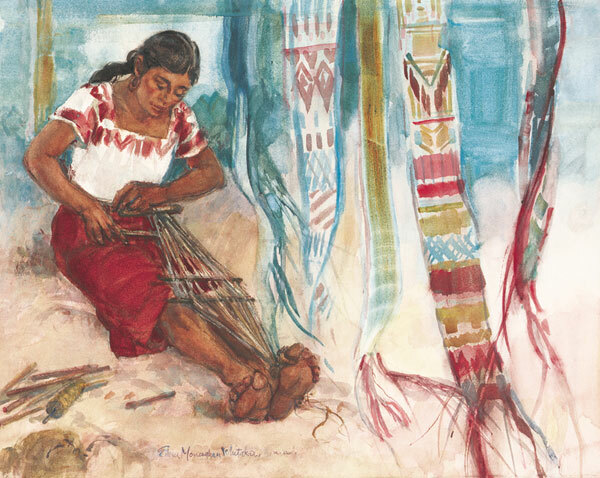 Long before their resettlement in La Jolla, Ca, the Whitakers had traveled extensively in the American Southwest and Mexico, accruing inspiration for their paintings. 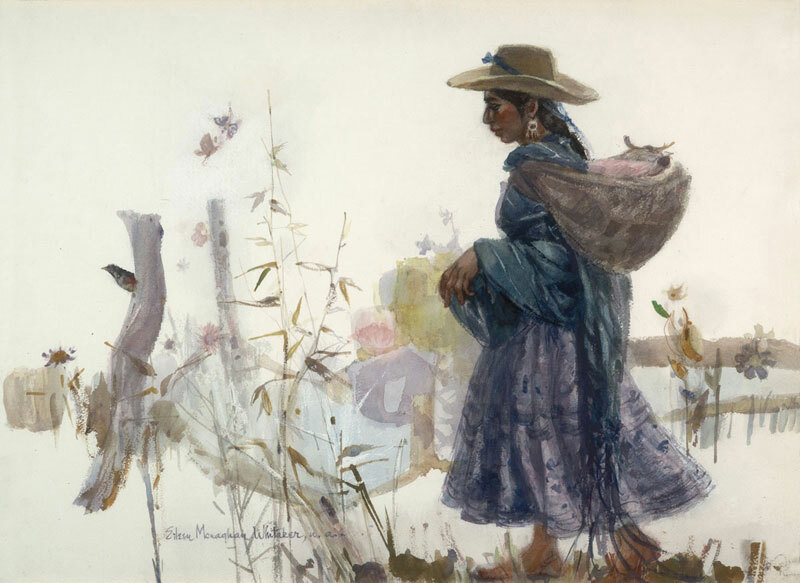 The result was an outpouring of work that reflected their fascination with Native American and Hispanic peoples and the street scenes they inhabited. 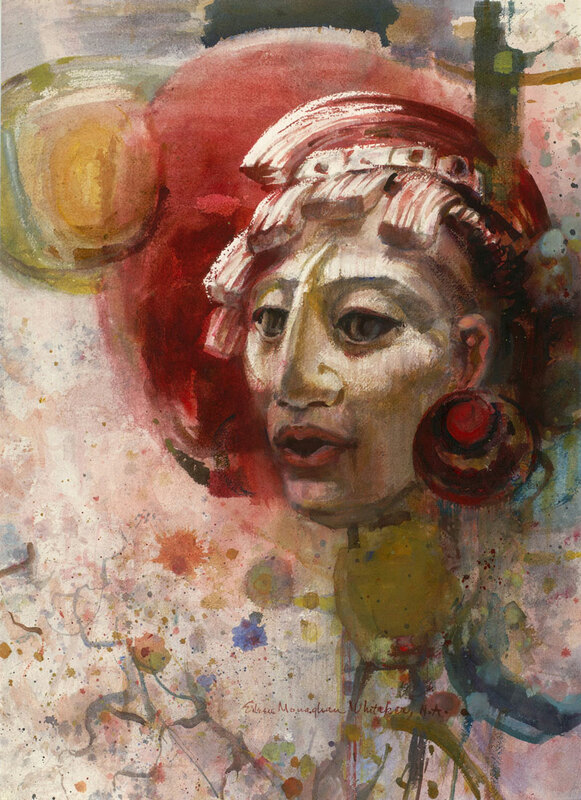 A great achievement of their art is that is conceals the effort of creation; it seems immediately realized and instinctive. 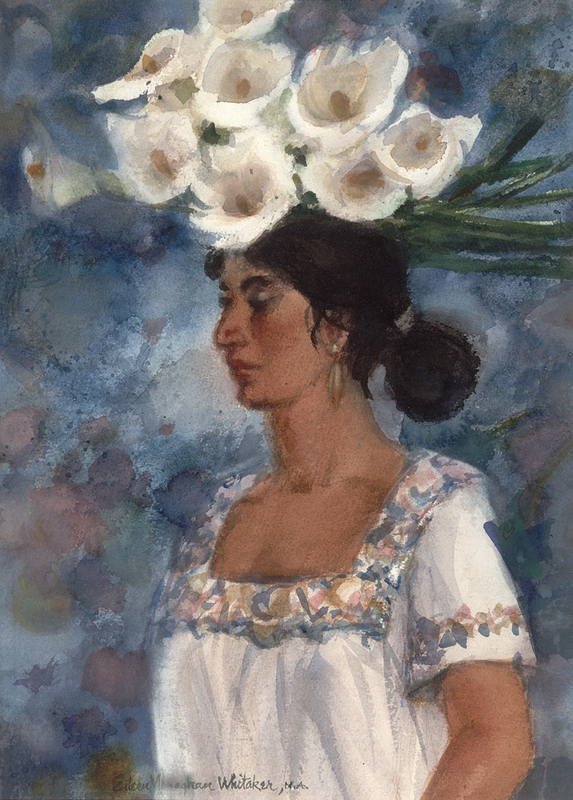 For both artists, in exceedingly different and individual ways, a great amount of thoughtful preparation and execution lies at the core of each picture. 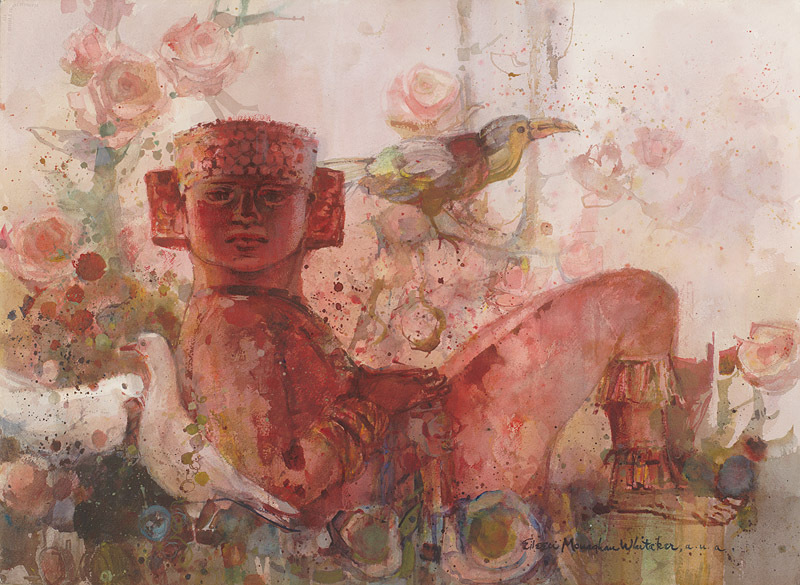 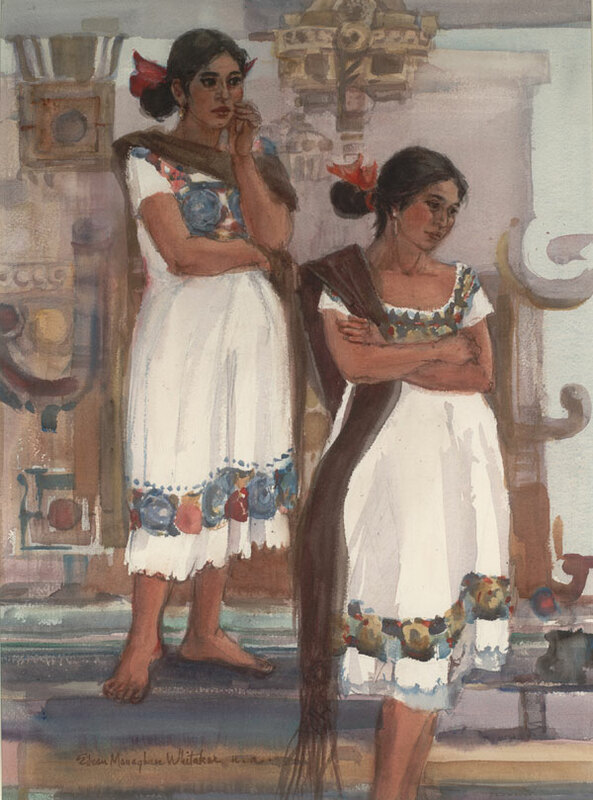 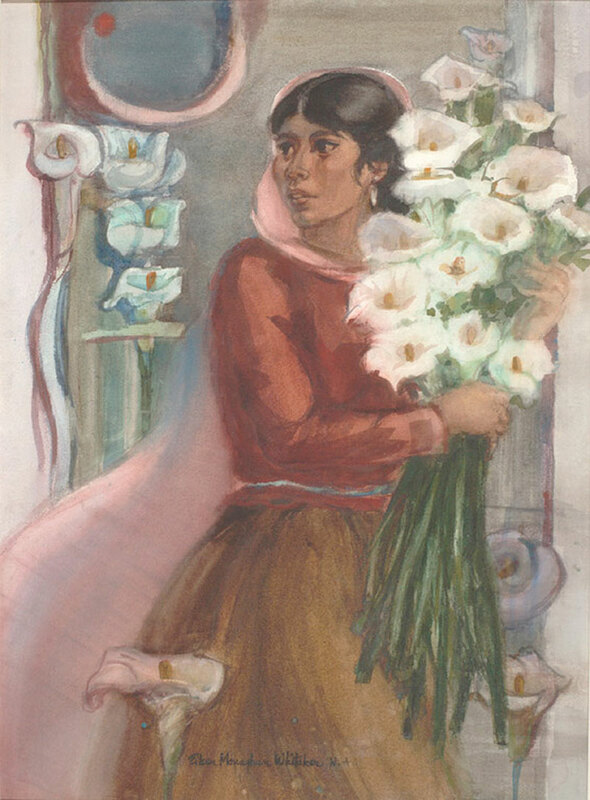 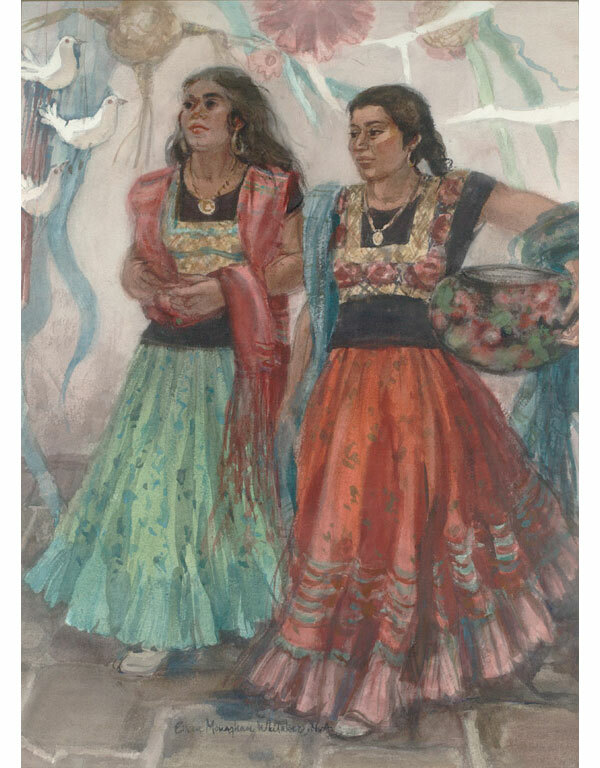 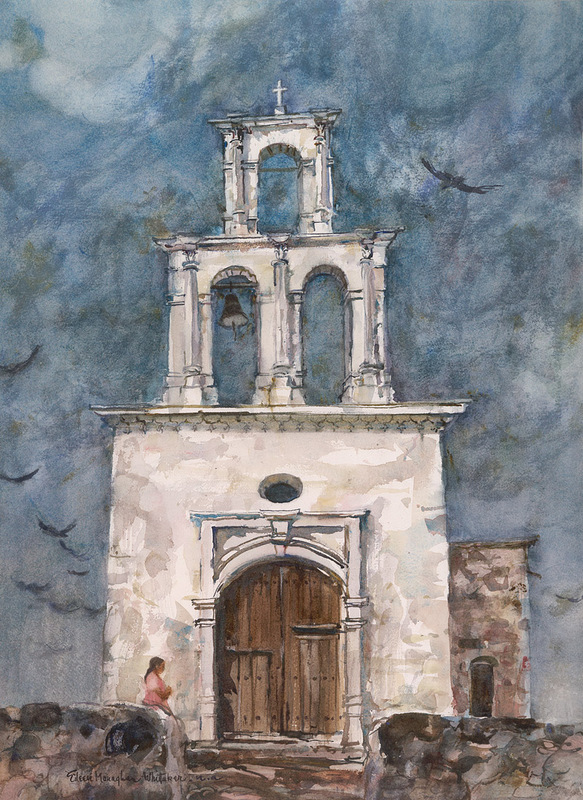 Given the extensive image collection of Mexican subject matter from the Whitaker Foundation archives and painting database, the decision was made to feature one artist at a time, starting with Frederic on one of Mexico’s best known holidays, Cinco de Mayo. 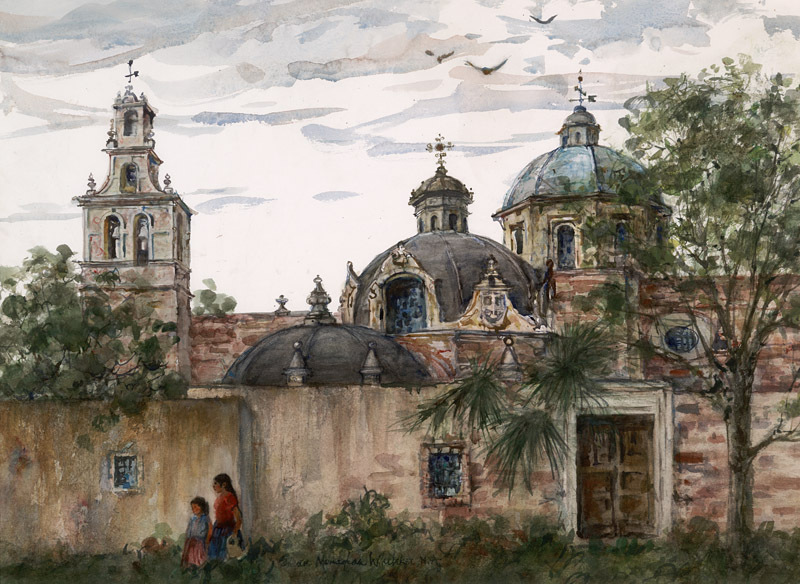 In 1965 the Whitakers’ journeyed to Mexico to research the option of moving there. 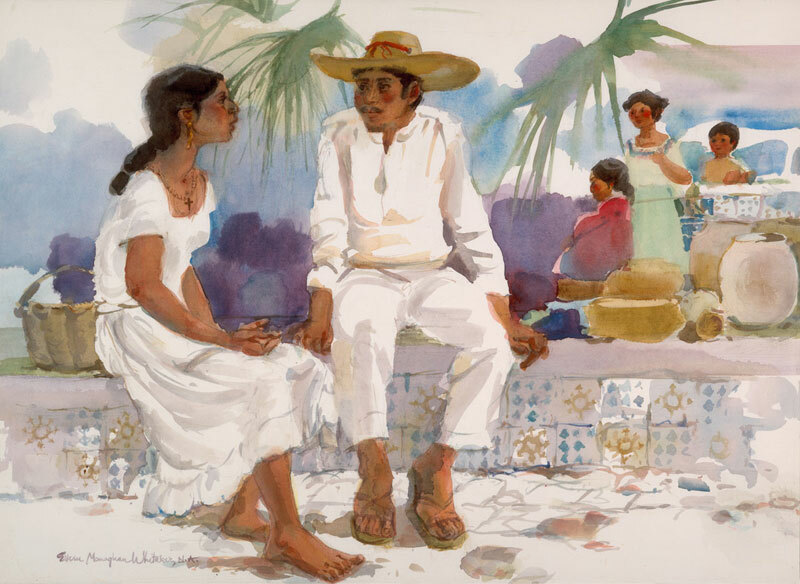 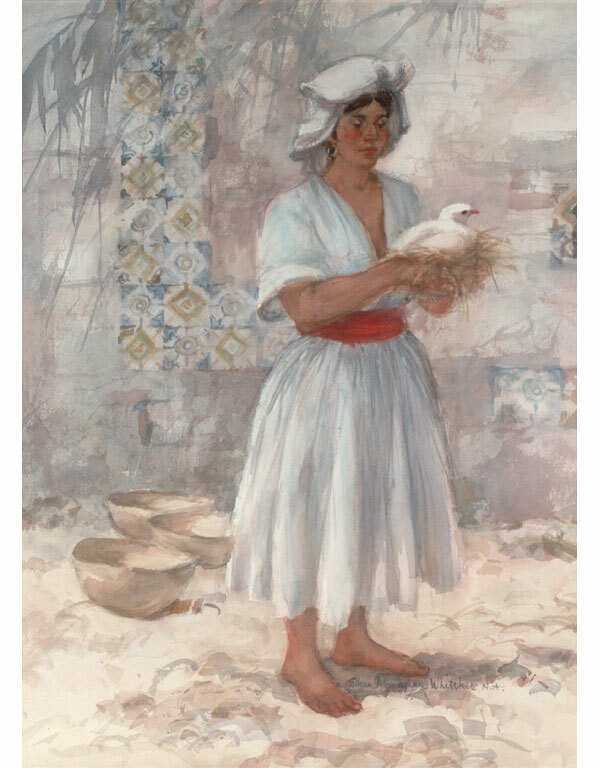 Although they decided against it and ended up settling in La Jolla, Eileen said “We loved it…We stayed a month, mingled with the natives and did lots of sketching and painting”. 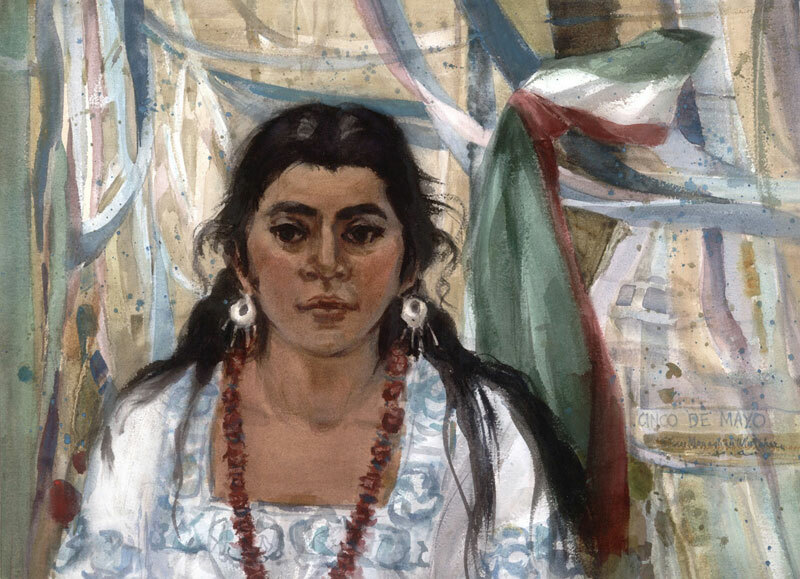 With her affinity for the people of Mexico, and perhaps more specifically the women, Eileen certainly shows that she understood their lives, routines and culture. 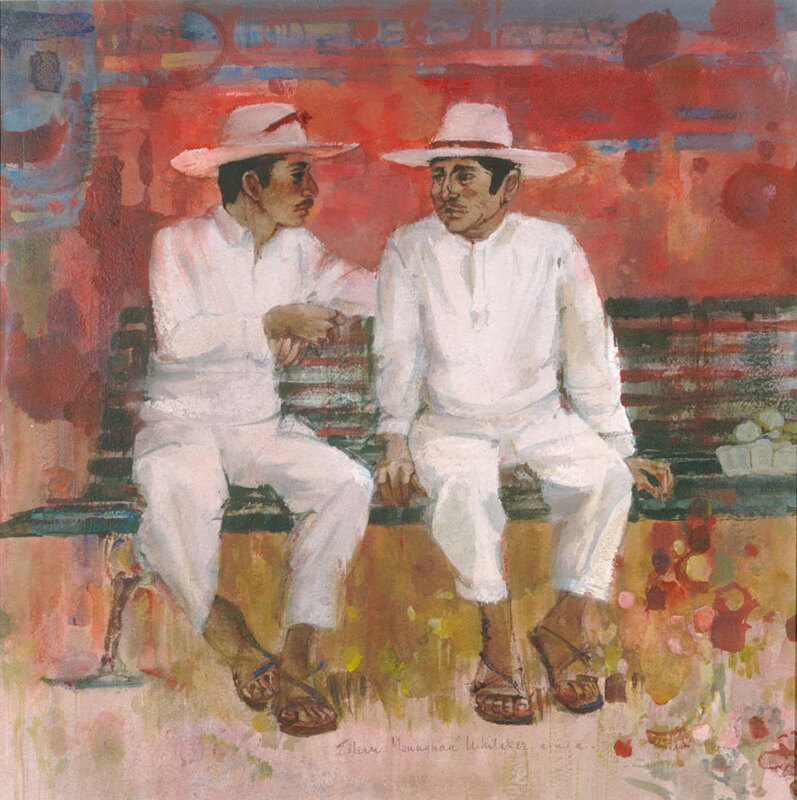 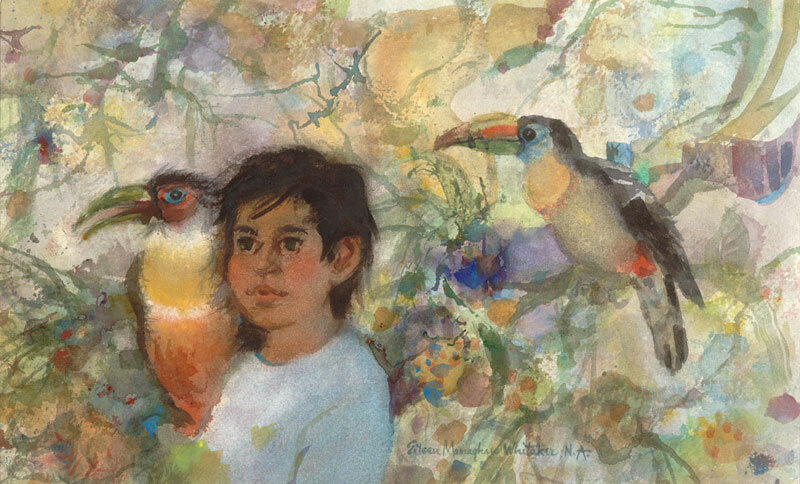 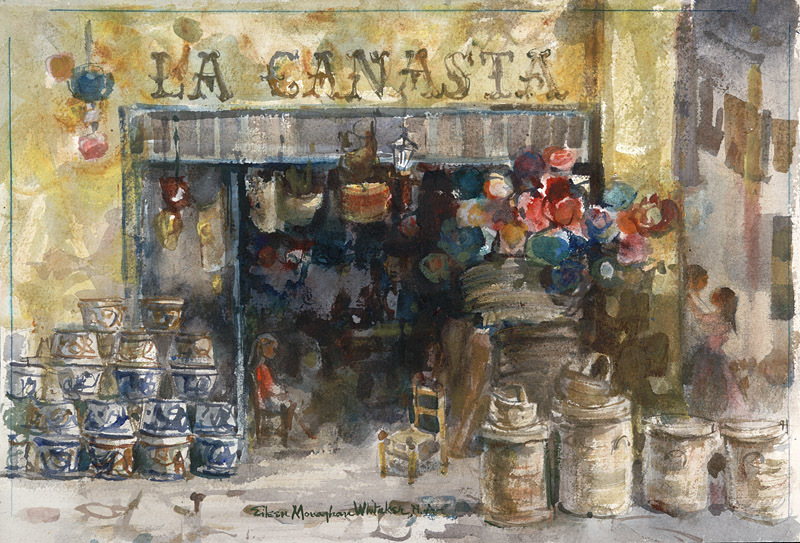 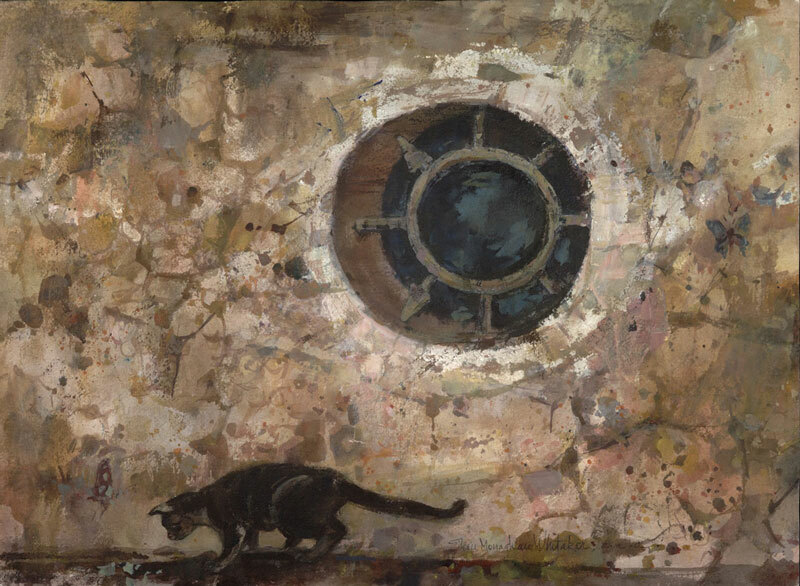 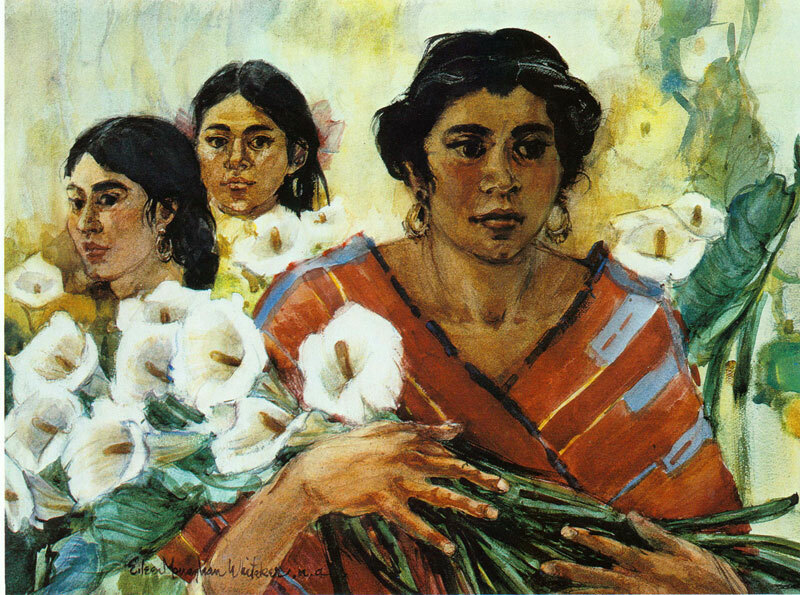 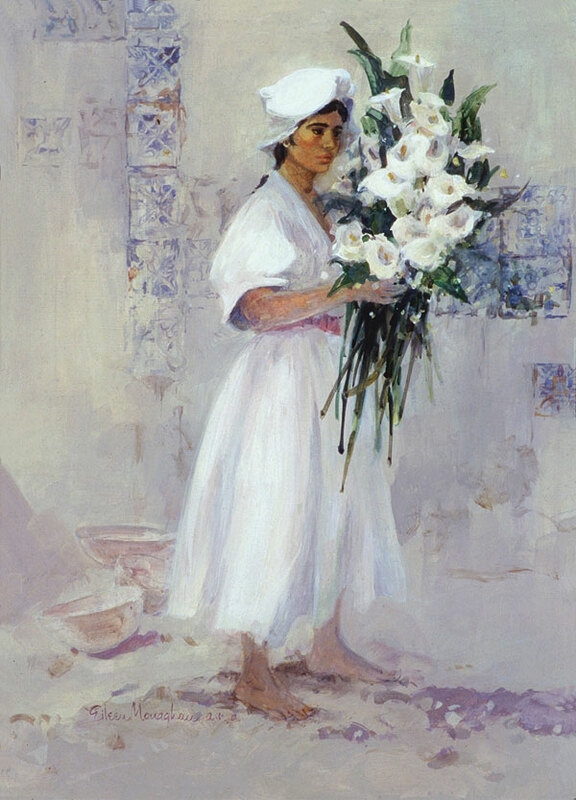 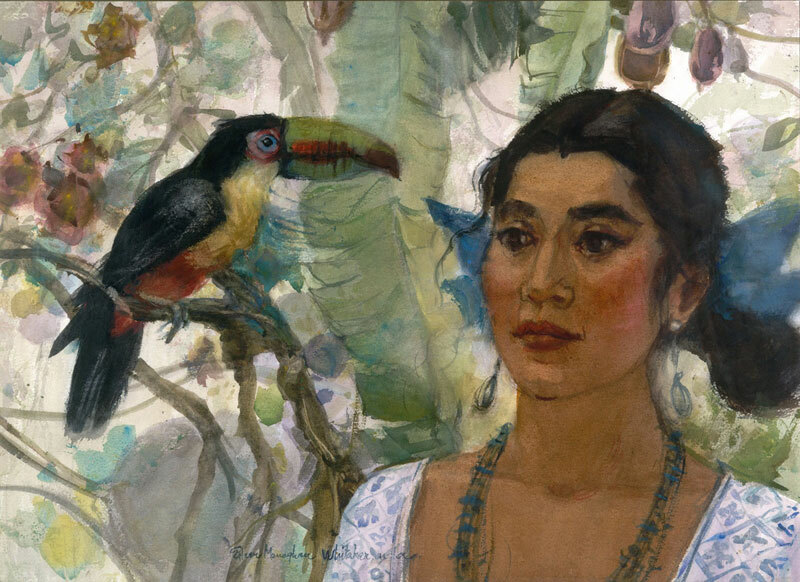 Her beautiful paintings inspire the viewer to visit Mexico and perhaps, experience the same joy that inspired Eileen. 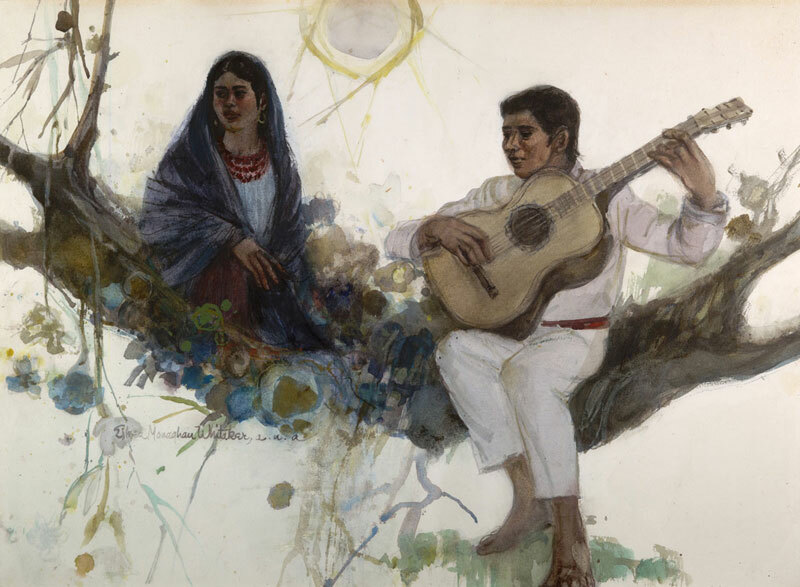 Put some Latin music on, pour yourself a margarita, and enjoy!